Its been a week or so since my last confe...post but that time has not been wasted. I have not only been enjoying the fantastic weather we've been having but also clicking away with my trusty Canon. 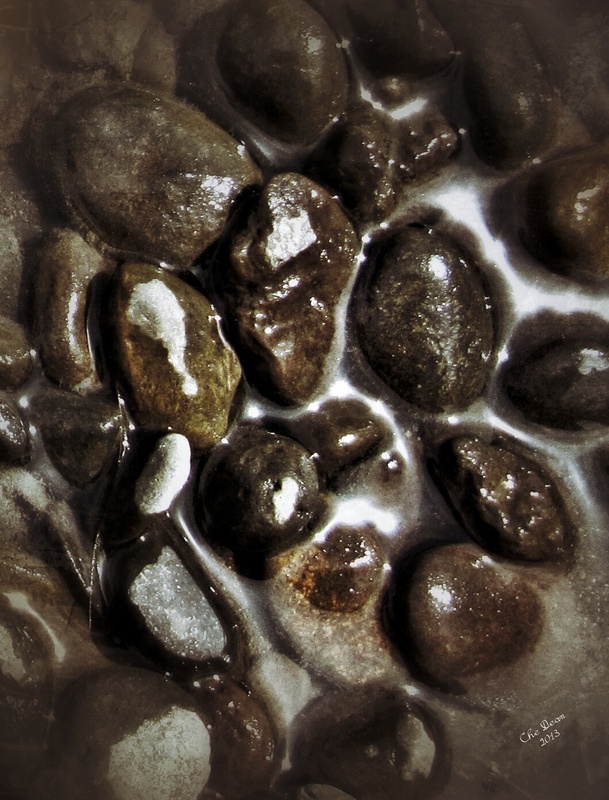 As the title suggests, I have been interested in the local river rocks here in Corvallis and while on our evening walks I've had great opportunities to grab some images. That is of course provided +Linda Dean isn't trying to "accidentally" push me in the river. 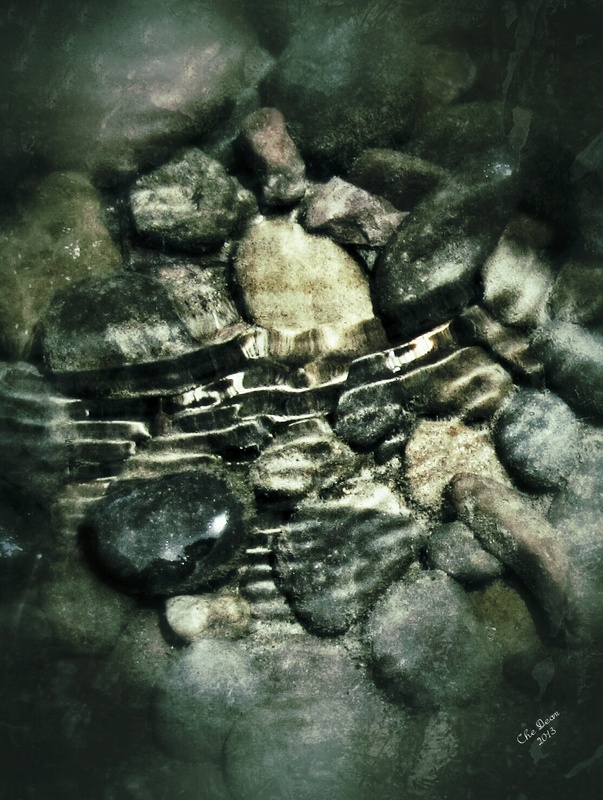 I like capturing the ripples and thought the above image turned out well. 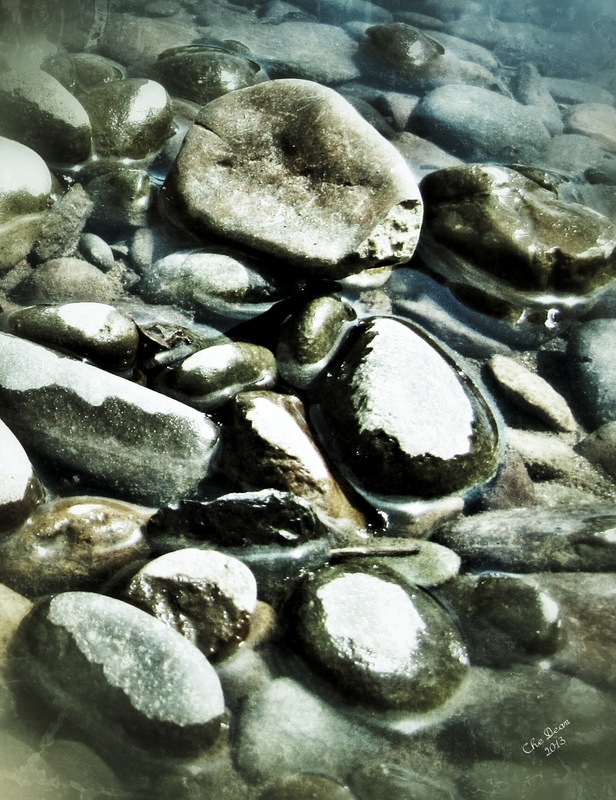 Not only capturing the rippling waves but also the various colours of the rocks and sand from the river bed. The water is pretty clear considering it runs through a major town, I was surprised, the river Lee back home isn't quite so lucky unfortunately. 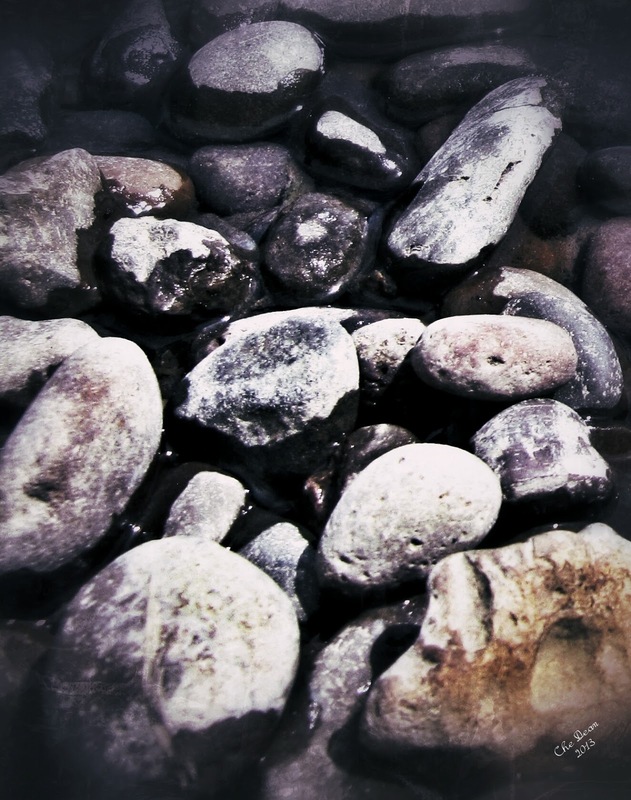 These were really fun to play with, I've been using a mixture of Google Picasa on Ubuntu and Snapseed on Android. It takes time to get the images the way I want them and sometimes it just doesn't work and you just have to start over. The heat here has been crazy and it doesn't take long for the rocks to dry out. I like the light grey dusty look they get when dried off. Capturing them is interesting to me because I know every time I go back the river will have changed them and there will be a whole new scene to capture. A week is probably to long between posts and I'm going to try and improve that. With the great weather we have also been busy Barbecuing so expect food posts in the coming days. I really like shooting food at its best and what's better on a sunny day than BBQ Steak, Pork or Chicken? Ok, maybe homebrew or craft beer, but normally the two go hand in hand.